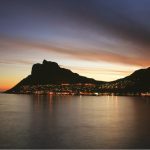 The sailing passage between Durban and Cape Town has a reputation of being difficult and one of the most dangerous in the world, but for superyachts that are prepared with the right information and backed by the excellent South African weather forecasting resources, the passage can be extremely rewarding. This current is one of the great ocean currents of the world, running mainly from northeast to southwest, following the two hundred metre contour of the continental shelf and dissipating over the Agulhas Bank south of Mossel Bay. The main axis of the current is on or near the two hundred metre line and can run at up to six knots at its fastest point. These patterns are governed by low and high pressure systems moving across from the Atlantic Coast of South America and travelling eastwards up the eastern seaboard of the South African coast. The third factor is the lack of sheltered harbours and anchorages, particularly between Durban and Port Elizabeth. 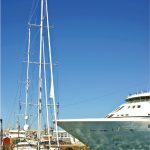 The number of cruising yachts visiting South Africa has remained stable in recent years as the Red Sea route was preferred by yachts undertaking a circumnavigation. 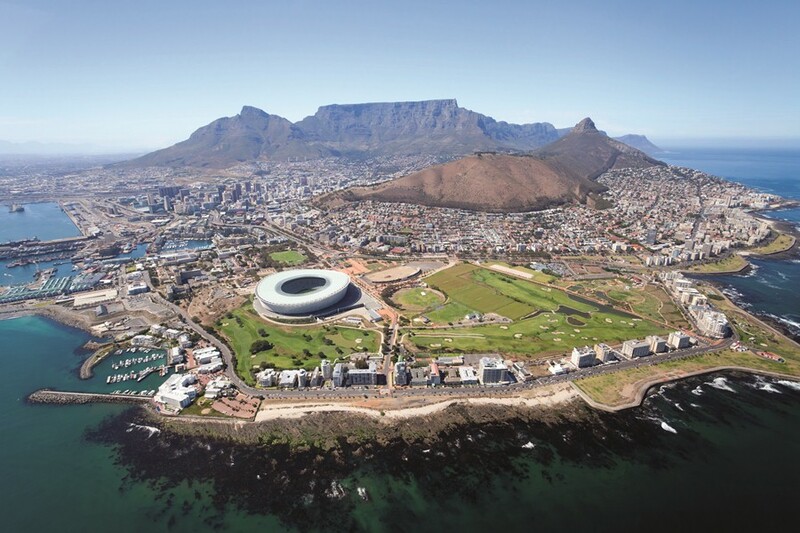 With the return of South Africa to the international fold, this has changed as more sailors are tempted to experience firsthand this country’s many attractions. All round-the-world yacht races now include South Africa on their itinerary. As there are yacht clubs in most ports, the clubs are the best source of information on local conditions. The yacht clubs like to be contacted in advance by those wishing to use their facilities. Most yacht clubs, such as those at Cape Town, Durban and Richards Bay, have their own hauling facilities, or will use the facilities of a local boatyard. You should take every opportunity to explore the interior of this cultral, fascinating country. The Zululand Yacht Club in Richards Bay is a good place from which to visit the Umfoloze, Hluhluwe and St Lucia reserves, while stunning Kruger Park can be easily reached from the Point Yacht Club in Durban. 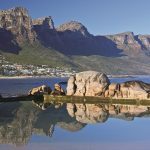 Hout Bay, located some 20 miles south of Cape Town, is an excellent alternative for those who prefer a smaller port with surrounding beaches, wildlife and scenery to the busy marinas of Cape Town. Almost all repair facilities for smaller craft can be found here as well, often at a better rate and with more attention to detail. 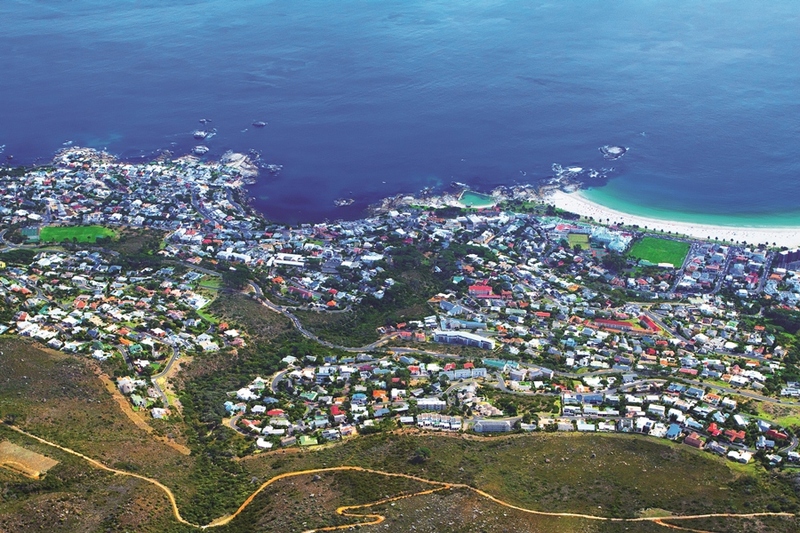 Another alternative to Cape Town is Simonstown, on the NW side of False Bay, some 15 miles north of the Cape of Good Hope. Tradespeople from Cape Town come to Hout Bay and Simonstown on a regular basis. It is a known fact that giant waves occur on the South African coast in the Agulhas current region, where south westerly gales prevail against the southward flowing Agulhas current. 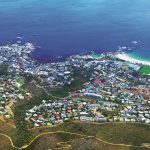 Cape Town University analysed the recorded conditions that prevailed each time a number of ships were damaged by exceptional waves, and found that in all cases the dominant waves were always from the southwest. The weather patterns play a major part in that the most dangerous period occurs when cells of low pressure are moving along the coast in a north easterly direction. These lows are a regular feature of the eastern seaboard and it often happens that during their passage the wind can change from a near north easterly gale to a south westerly gale, sometimes in a matter of minutes. The southwest wind then reinforces the existing waves generated by a short choppy sea, which acts directly against the Agulhas current. It is the interaction between the strong south westerly wind and the strong south flowing current which at times can reach 6 knots that creates monstrous freak waves, of which the charts warn: “Abnormal waves of up to 20 meters in height, preceded by deep troughs may be encountered in the area between the edge of the continental shelf and twenty miles to seaward thereof”. The warning also describes the necessary evasive action to be taken under unfavourable conditions, namely, to stay clear of the areas seaward of the continental shelf. In other words, move inshore, inside the 200 metre line. This well established rule has given rise to the belief that the bottom topography plays a part in the generation of giant waves, but in fact this only plays an indirect role. 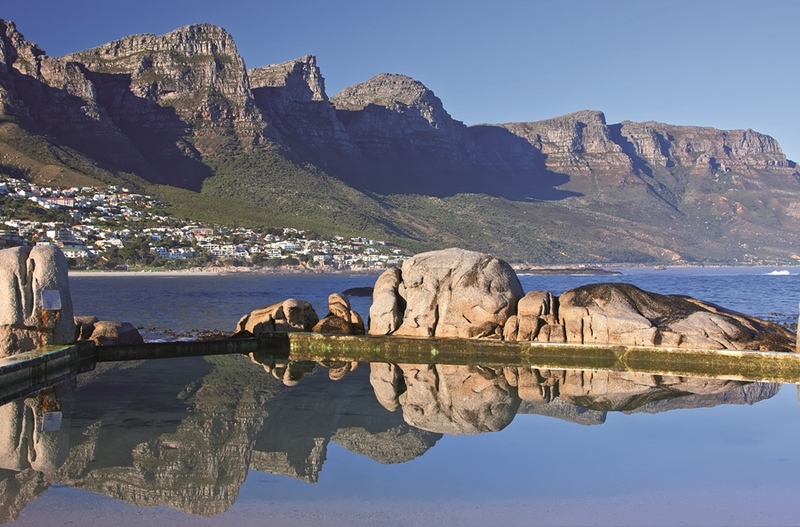 The conditions along the southeast coast of South Africa are unique and superyacht captains planning a voyage here should avail themselves of all information pertaining to the expected weather for their passage. The major wind belts around Southern Africa are influenced primarily by two high pressure systems, namely the South Atlantic High (SAH) and the Indian Ocean High (IOH). These high pressure systems form part of what is known as the ‘subtropical ridge’. Because of the effect of Coriolis force, the winds associated with such high pressure systems are deflected to the left in the southern hemisphere, and therefore blow around the highs in an anticlockwise direction. Such systems are also called ‘anticyclones’. In contrast to the high pressure systems, to the south there is a belt of low pressure systems, or ‘cyclones’, with associated winds blowing around the lows in a clockwise direction. The two main ports on the South African coastline are Cape Town and Durban. S/Y Georgia (48m) recently sailed to South Africa from Southern Brazil and then spent two months in Cape Town, moored in the front of the Cape Grace Hotel/Cape Town Marina. 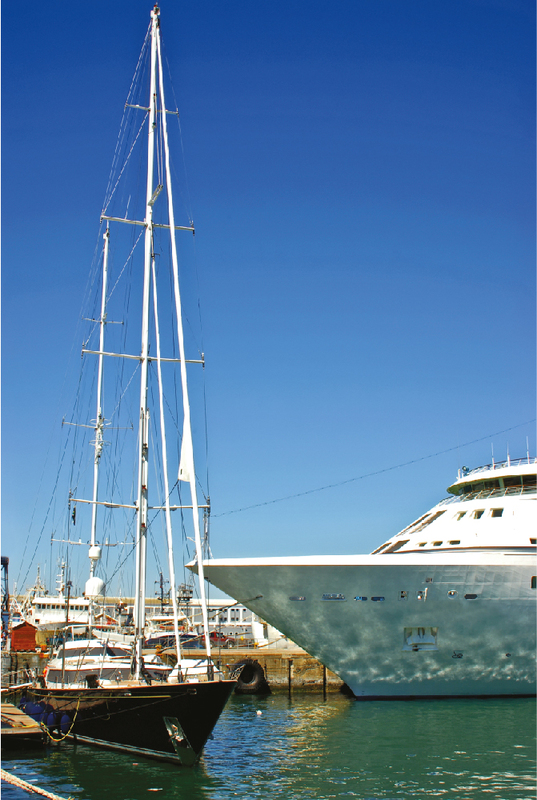 Captain Anthony Daebritz commented that this berth was an ‘awesome’ spot for the yacht but since Cape Town has not had too many superyacht visits in the past, it was not an obvious superyacht port with the associated support industry, so obtaining support and services was a challenge. Georgia cruised to Jeffreys Bay with crew only and they surfed the famous Jeffreys Bay breaks which was a highlight and thoroughly enjoyed by all who did so. They then stopped in Durbin after a quick passage from Cape Town. 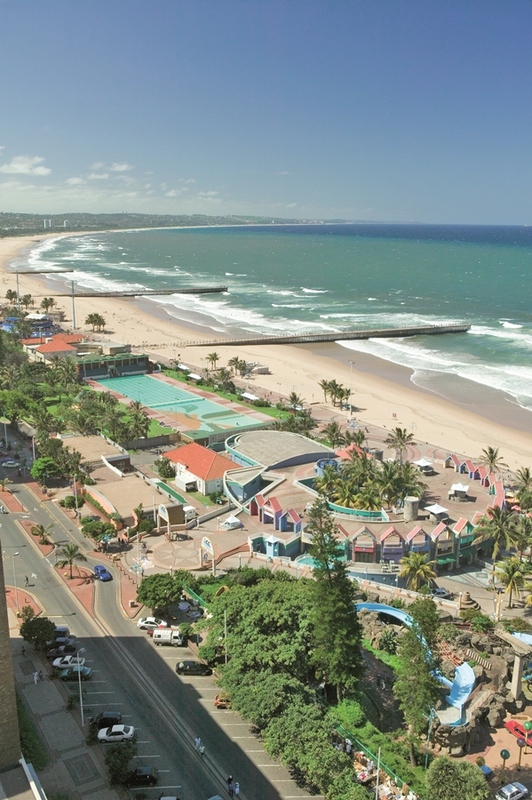 Situated strategically on the south eastern tip of Africa, Durban is Africa’s premier port, serving a host of commercial and non commercial traffic. It is the gateway to South Africa’s commerce and also feeds traffic to many landlocked countries. Durban is a regular port of call for traffic between east and west and offers a host of services such as repair yards, dry docks, bunkering and provisioning. Johannesburg International Airport plays host to most of the international airlines and allows for easy access to Durban for crew transfers. 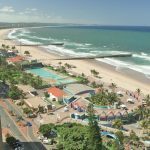 Durban’s tropical climate sets the scene for a holiday atmosphere in a vibrant city with an estimated population of two million and is a premier holiday destination for both local and international holiday makers. A true mix of cultures, including African, Indian, Muslim and European make for the rich diversity, with first class hotels, infrastructure and beaches and a short distance to some of the best game viewing private parks and other spectacular tourist attractions in the country. In addition, South Africa and particularly Durban, is close to the Indian Ocean Islands and is a new and exciting destination for superyachts, seeking both fun and essential services. Del Shipping and Trading act as ships and superyacht agents in all the major ports of South Africa, with its head office based in Durban. Experienced personnel offer a dedicated and professional 24 hour service to clients together with an understanding of their needs and they welcome superyachts to this new destination. 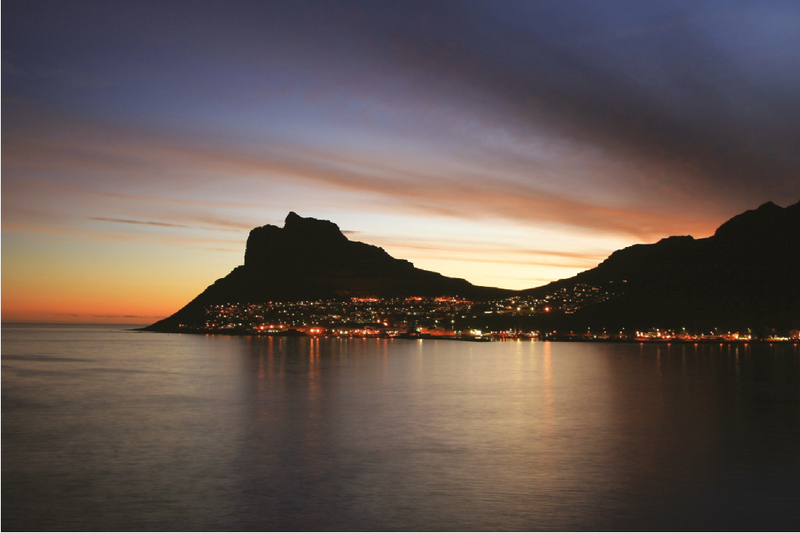 South Africa is represented by superyacht agent Del Shipping & Trading.